Thanks for visiting Florida Kayak Angler Guided Fishing Charters. 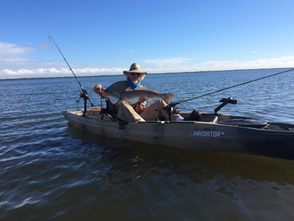 Robert is the only kayak guide you need to book a charter with to guarantee yourself a great time kayak fishing on the Indian River (IRL), Mosquito Lagoon(ML), and Banana River(NMZ). Robert is one of the first Original Kayak fishing guides dating back to 2009 to charter these waters and provides exceptional customer service and knowledge of the area. 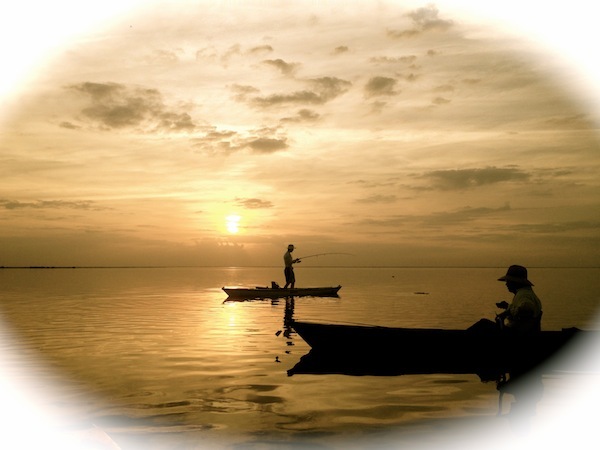 Florida Kayak Angler LLC is 100% Insured, so you can rest assured you are in professional hands. I pride myself on putting my clients first, and making sure you are having a memorable time while catching some of the Space Coast's most amazing game fish. Let my years of experience guide you to the catch of a lifetime!! Visting Titusville, The Space Coast, Orlando, or any where nearby and want to experience more than just Disney World, Universal, Sea World, or any of the many theme parks, fancy hotels, and exspensive shopping malls everyone comes on vacation to see but often miss out on Florida's true natural parks. Maybe you got a day pass from the wife on vacation to do a you day, Maybe you're a local and just don't have enough time to get out on the water and track down the sweet fishing spots. No worries we have you covered. Kayak fishing is fun for one or the whole family, with plenty to see and do catching fish isn't the only thing in store for you. Mother nature has provided us with a abundance of wildlife like many different species of exotic flowers, plants, wild animals, and a assortment of marine life. You can rest assured that when you book a guided kayak fishing trip with Florida Kayak Angler your money is well spent, and you will come away with memories to last you a lifetime, with out the big dent in the wallet. We guarantee you a great fishing experience or your money back! Space Coasts Amazing Breeder Reds!!!! Kayak fishing is supposed to be fun, and its my job to make sure you are having fun while enjoying the pristine waters of Florida. The nature you will be engulfed in will bring you back in touch with the earth, the wildlife that inhabits it, as well as your primal instincts and if its not, then i'm not doing my job. I pride myself in what I do so much that if you are not satisfied with your kayak fishing charter I will refund your money or schedule you another charter if you choose. I unfortunately cannot guarantee you will catch fish, but I do guarantee you will have many of oppurtunities to catch fish and I will do everything I can to get you hooked up. 2017 Is starting off great we finally have clean water again, tons of schooled up fish, we did loose a lot of grass due to the recent years of water pollution and algae blooms, but we've come out stronger, water is crystal clear, sight fishing is back on point, book your charter today and get some fish checked off your bucket list.